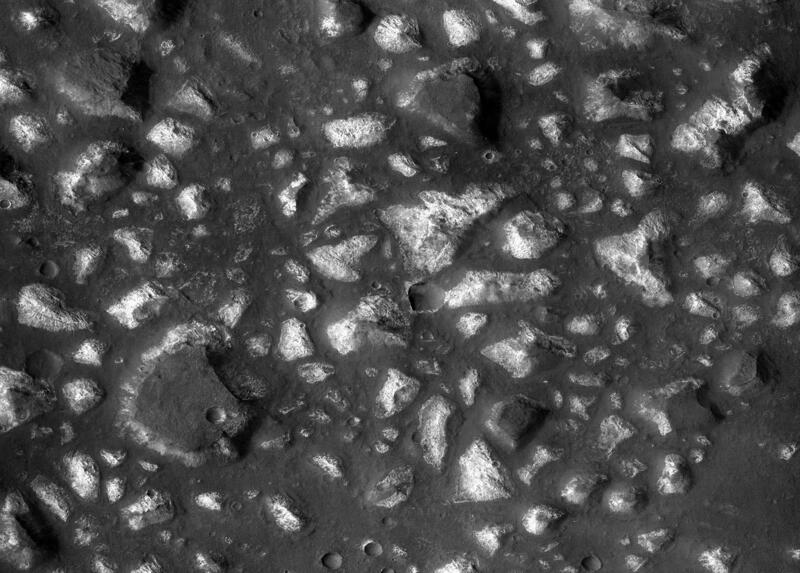 This view of a portion of the Eridania region of southern Mars shows fractured, dismembered blocks of deep-basin deposits that have been surrounded and partially buried by younger volcanic deposits. The image was taken by the Context Camera on NASA's Mars Reconnaissance Orbiter. The area covered by this view spans about 12 miles (20 kilometers) across. 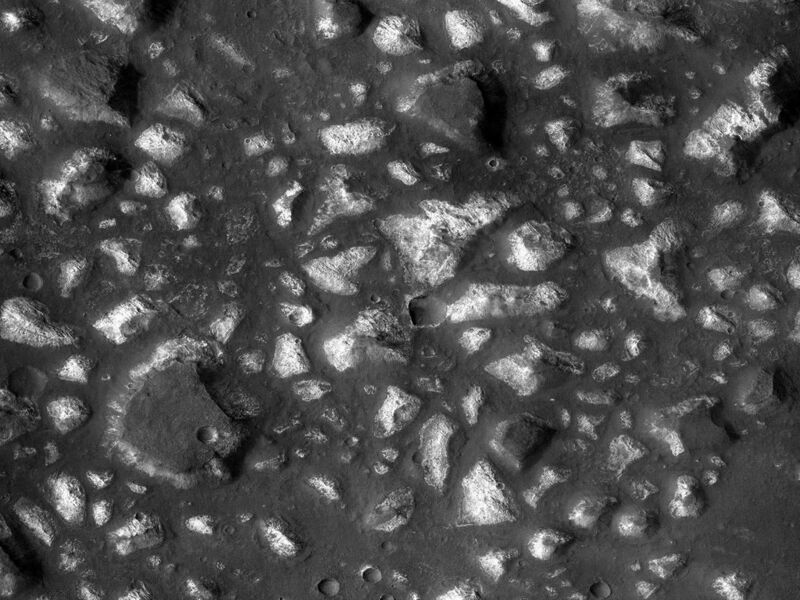 The shape and texture of the thick bedrock layers in the Eridania basin, together with the mix of minerals identified from orbit, led researchers to identify this as the site of possible seafloor hydrothermal deposits. 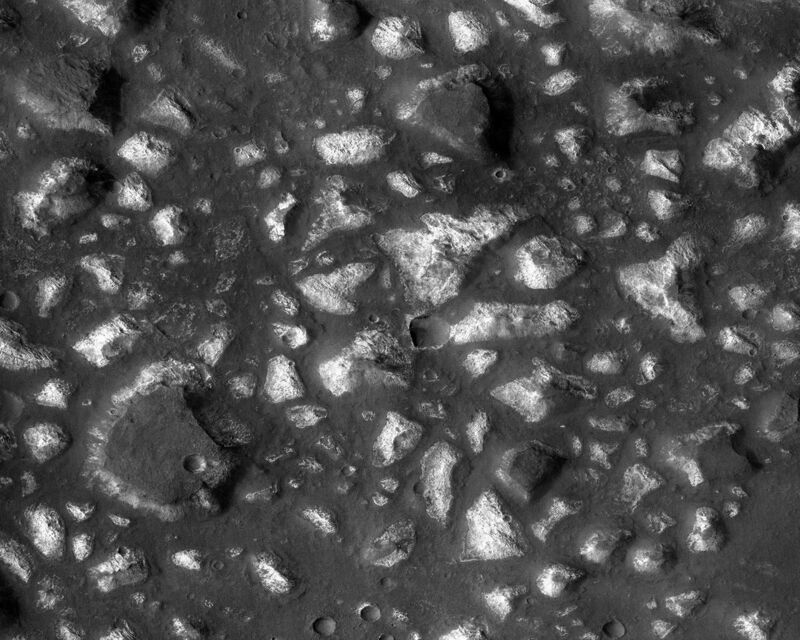 A schematic cross section (PIA22059) of this terrain shows an interpretation of its origin. 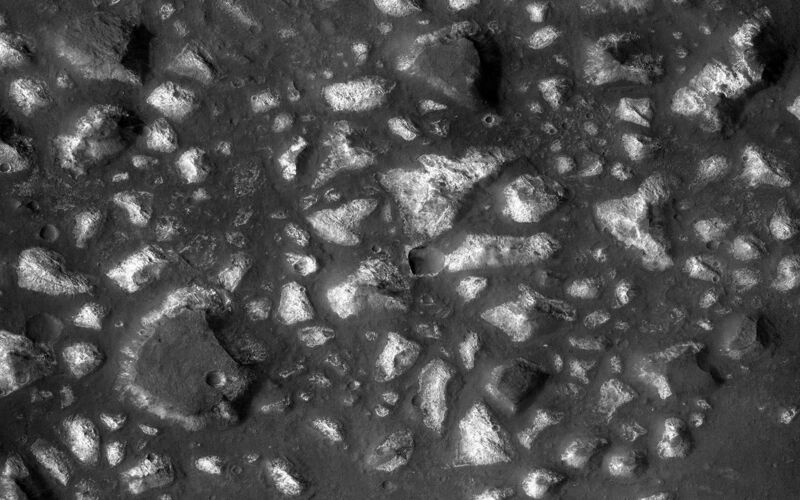 The mineral identifications were made from observations by the Mars Reconnaissance Orbiter's Compact Reconnaissance Imaging Spectrometer for Mars. This is a portion of Context Camera image B08_012563_1445. The camera was built by, and is operated by, Malin Space Science Systems, San Diego. NASA's Jet Propulsion Laboratory, a division of Caltech in Pasadena, California, manages the Mars Reconnaissance Orbiter Project for NASA's Science Mission Directorate, Washington.